Pacifica police are searching for a man who was reported exposing himself and taking photos of children in the area with his cellphone at Linda Mar Beach on Wednesday. Officers said they were dispatched around 2:40 p.m. to the beach and discovered that the suspect had left prior to their arrival. The suspect was described as a white man between 40 and 50 years old with a beard, wearing a black hat, a turquoise shirt and short white shorts, according to police. 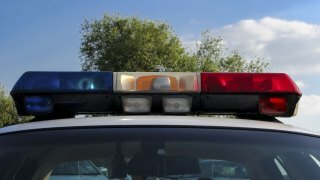 The man was seen driving out of the beach parking lot southbound on state Highway 1 in a gray, late model two-door Honda Civic or a similar vehicle. Anyone with information on the case is asked to call Pacifica police at (650) 738-7314 and refer to case number 18-0934. Information can be turned in anonymously by contacting the Silent Witness Tip Line at (650) 359-4444 or going to the police website.